What is Halal or Kosher Meat? Many adherents to this practice contend that the advantage of this method is that it ensures rapid, complete draining of the blood which keeps the meat fresh and free from impurities. They also consider this method to be the least painful and humane method of slaughter for the animal, causing unconsciousness within a couple of seconds. What is Islam’s viewpoint on Animal Welfare? Under Islamic guidelines, as with Judaic, any undue pain for the animal must be avoided. It is forbidden to treat an animal cruelly during its lifetime or during the slaughter. If the animal is killed by a blow, strangling, electric shock or drowning in water, its meat is not considered permissible. Islamic practices dictate that the animal is not allowed to be put down in view of other animals neither is the knife to be openly shown to the animal to be slaughtered. This would cause the animals distress and is not best practice. Although the slaughter of animals is allowed for food consumption, it is strictly forbidden for sport or enjoyment. The Prophet (peace be upon him) often chastised people for the mistreatment of animal and spoke to them about the need for mercy and kindness. Why the need for Islamic ritual slaughter? Muslims submit to God’s teachings, knowing that God is All Knowing and All Wise and that His commandments have benefits for us all. Muslims acknowledge that there is only One True God who is the cause of all creation and He is the only One to be worshipped. This worship entails the acceptance and following of God’s laws which includes such practices. According to Islamic scholars, the method of slaughtering animals in the most correct and humane way must be a method prescribed by God for all times, given that He is All Knowing and All Wise. His commandments have benefits for the whole of humanity as well as for the animal kingdom because He is the Creator of all. When administered correctly, ritual slaughtering causes a sudden drop in blood pressure to the brain which renders the animal brain dead within seconds. Many researchers have found this method to be less painful than modern methods of slaughter but opinions are wide and varied. The method is considered to keep the meat fresh and free from impurities. Does Halal or Kosher food have any relevance to Christians? A number of Christian denominations around the world also practise the ritual slaughter of animals in keeping with this Semitic religious tradition. In fact Jesus himself was considered a Jew and part of the Jewish community during his time and would therefore have eaten Kosher meat. According to Islamic tradition, the practice of religious slaughter is considered to have been carried out by all the prophets of Islam including Jesus Christ, John, Moses, Joseph, Jacob, Lot, Abraham and other Israelite and Ishmaelite prophets (may God’s peace be upon them all). Many other Islamic practices are also similar to orthodox Christian and Jewish practices, with some still being carried out by many Jewish and Christian religious communities e.g. circumcision. Allah is one of the names for God in Islam and was used by Arab Christians in pre-Islamic times. There are many other names for God in Islam, such as The Merciful (Ar Rahman), The Beneficent (Ar Raheem), The Forgiving (Al Ghafoor), The Lord (Ar-Rabb) and others which describe and help us to understand God. It is known that Jesus spoke an ancient Aramaic dialect, which is a Semitic language like Hebrew. The name “Allāh” exists in both Aramaic and Hebrew. The corresponding Aramaic form is ʼĔlāhā (also written as Alaha) in Biblical Aramaic and ʼAlâhâ in Syriac, which quite simply means God. It is understood that Jesus would certainly have used this term since it was commonly used in his time and region. Why is the name of God (Allah) pronounced during the Islamic slaughter? The name of God (Allah) must be pronounced over the animal as part of the prescribed Islamic method for slaughter. This is a commandment to the Muslims by God in the Qur’an. There are many other reasons including the understanding that this provision has been provided to us by God, so we pronounce His name before the ritual to recognise His blessings and show thankfulness. The God worshipped by the Muslims is the same God of the former prophets mentioned in the Old and New Testament such as Jesus, John, Moses, Joseph, Jacob, Abraham, Lot, David, Solomon, Jonah, Noah, Adam and others. However Muslims differ to the modern Jewish and Christian understanding of God and are more closely aligned to the historic understanding from these faiths. According to the Islamic faith, God is unseen, All Powerful, All Knowing and One who has no equal. The Christian understanding of the trinity is therefore rejected by Muslims because of their pure monotheistic understanding of God as One who does not share His divinity with others. Rather the position of Jesus Christ in Islam is not considered as that of sharing Lordship with God but of him being one of the greatest Messengers and Prophets sent by God. Why should Muslims and Jews be concerned about the recent reports on this subject? History has shown that we should be very wary of ostracising communities and their religious practices. In fact banning kosher meat was something carried out by Adolf Hitler in order to marginalise the Jewish community in Nazi Germany. Currently the unnecessary poor media coverage of Muslims is exacerbating the Islamophobic environment in the UK. Attacks on Muslims, and in particular Muslim women, are on the increase. Poor media reporting of the issues could set back community cohesion by many decades causing serious unrest and disharmony amongst large communities who contribute so well to the economy and to the country as a whole. 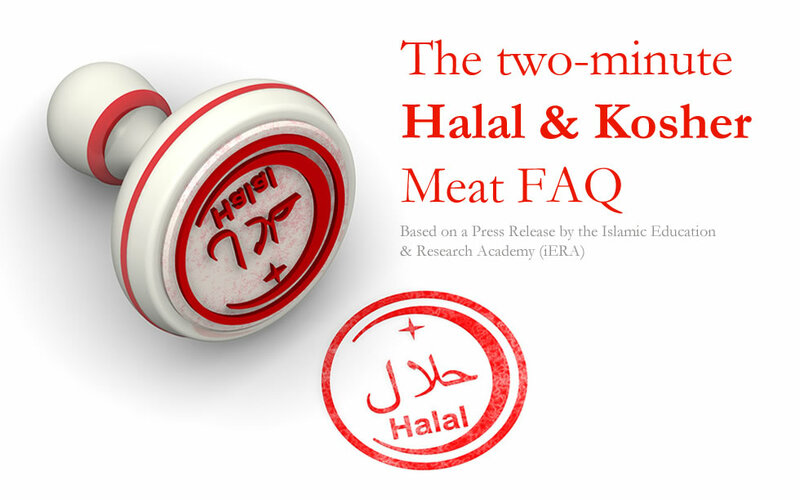 The above article is an extract from the iERA PRESS STATEMENT ON: The Halal and Kosher Meat Controversy – May 21 2014. 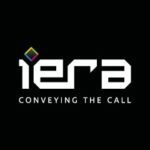 The Islamic Education and Research Academy (iERA) is an international organisation committed to educating and informing humanity about, and inviting to, the truth and noble message of Islam.